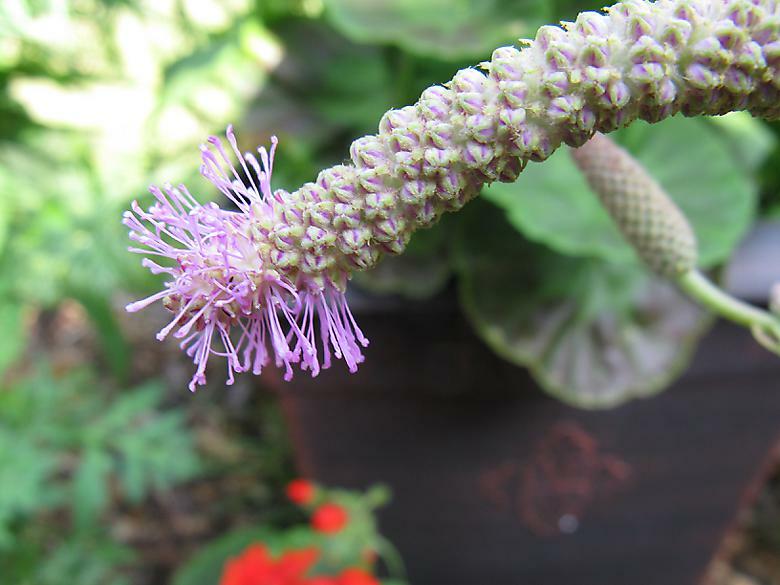 One of the buds on the Sanguisorba 'Lilac squirrel' is starting to open. This is one of the two plants that were a must have at the beginning of the year for me. Unusually it is starting to open from the end.